1 – Brighton and Hove Albion became the first team in England to secure promotion after twice coming from behind to defeat Dagenham and Redbridge 4-3. Victory put them 16 points clear at the top of League 1. 71 – Raúl scored his 71st goal in European competition as Schalke 04 defeated defending champions Inter Milan 2-1 to reach the Champions League semi-final with a 7-3 aggregate win. 10 – Real Madrid, who won 1-0 at Tottenham (and 5-0 on aggregate) are the only team to have opened the scoring in every single Champions League game they have played this season. 5 – Porto scored five times in both legs of their Europa League quarter-final victory over Spartak Moscow, Their 5-2 away win came after they had won the home game 5-1 the previous week. 6 – Kevin Na, a South Korean-born American golfer, carded a 16 at the par-four ninth hole at the TPC San Antonio course. It was the worst ever score for a par-four in a PGA Tour event in the US. 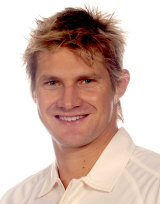 15 – Shane Watson hit a world record 15 sixes in the second one-day international against Bangladesh as Australia won by nine wickets. Watson finished 185 not out off just 96 deliveries. 1 – Gilly Flaherty scored the only goal of the game as defending champions Arsenal won 1-0 at Chelsea in the inaugural match of the FA Women’s Super League. 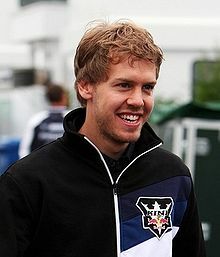 4 – Lewis Hamilton passed defending world champion Sebastian Vettel to take the lead of the Chinese Grand Prix with just four laps remaining to claim his 15th career Formula 1 victory. 210 – Varun Chopra scored 210, his first career double century, as Warwickshire scored 642 against Somerset, setting up victory by an innings and 382 runs. 20 – Essex lost all 10 wickets twice on the same day as Middlesex bowled them out for 115 and 215, and cruised to an eight-wicket victory. 2:04:39 – Time taken to complete the London Marathon by Kenya’s Emmanuel Mutai, the fastest ever run in London and the fifth fastest overall. 31 – Philippe Gilbert became the first cyclist in 31 years to win the Amstel Gold one-day classic in consecutive years. 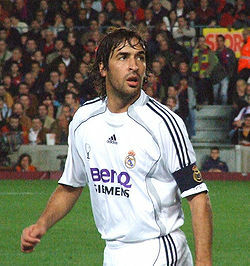 25 – Real Madrid’s 1-1 draw with Barcelona was their first home league draw in 25 months (March 2009 vs Atlético). 20 – Barcelona were awarded a penalty in the Bernabéu for the first time in 20 years, since Ronald Koeman scored in October 1991. 12 – Lionel Messi scored his first goal against a team managed by José Mourinho, in his 12th such game. 1 – Cristiano Ronaldo scored his first competitive goal against Barcelona, in his seventh game against them. 1 – This was the first time Real Madrid have failed to win a La Liga game in which Ronaldo has scored. 23% – Real Madrid’s share of possession. It is the first time they have had less than 30% possession in a La Liga match in five years. 22 – The two clásicos this season have produced 20 yellow cards and two reds, more than any other meeting between two La Liga sides. 8 – Barcelona’s lead at the top of the table remains at eight points with just six games remaining. 3 – Aston Villa’s three away league victories this season have all been 2-1 wins against teams beginning with the letter W – Wolves, Wigan and now West Ham. They play at West Bromwich Albion in two weeks’ time. 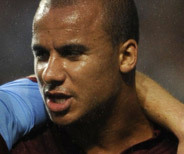 1 – Gabriel Agbonlahor became the first Villa substitute to score in the Premier League this season. Villa were the last of the 20 Premier League teams to register a goal by a sub. 16 – In losing 3-1 at home to Wigan, Blackpool have now scored and conceded in all 16 home league games this season. 12 – Chelsea‘s 3-1 win at West Brom means they have now won 12 straight games in all competitions against the Baggies. 101:48 – Time on the game clock when Dirk Kuyt scored Liverpool‘s equaliser in the 1-1 draw at Arsenal. Robin van Persie had opened the scoring in the 98th minute. 17 – Points dropped by Arsenal at home this season, one more than they have dropped away from the Emirates. 8 – Yaya Touré scored the only goal in Manchester City‘s 1-0 FA Cup semi-final win over Manchester United. City have won all eight games in which Touré has scored for them. 23 – This was the first time in 23 competitive games this season that United have lost with Rio Ferdinand in the line-up. 1 – Stoke‘s 5-0 thrashing of Bolton put them into the first FA Cup final in their 148-year history.